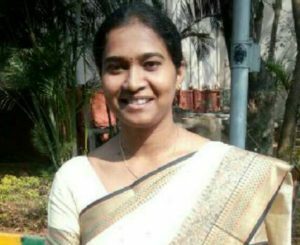 Dr T Shubhamangala – Practising Gynaecologist and Mother of a 3.5-year-old Clears UPSC by Preparing Online; Thanks ClearIAS! 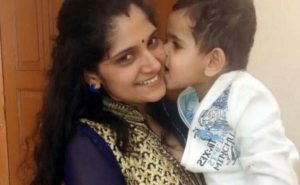 Dr T Shubhamangala, a practising gynaecologist and a mother of 3.5-year-old cleared UPSC Civil Services Exam 2017 by preparing online. She got rank 147. Shubhamangala has thanked ClearIAS for her special achievement. 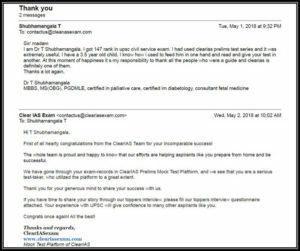 Dr T Shubhamangala's Email to ClearIAS Shubhamangala had actively used ClearIAS … [Read more...] about Dr T Shubhamangala – Practising Gynaecologist and Mother of a 3.5-year-old Clears UPSC by Preparing Online; Thanks ClearIAS! To get selected into any of the civil services is not a small achievement. But to repeat the feat multiple times, and to get selected into IAS in the 6th attempt is not that common. That's what Anju Arun Kumar did. Anju started her UPSC preparation right after B.Tech and got the selection to IAAS … [Read more...] about Anju Arun Kumar (CSE 2016 Rank 90) UPSC Topper’s Interview: The Epitome of Determination – IAS in her 6th attempt! Thank you so much ClearIAS for all your support and guidance throughout the journey. Now, while waiting for the final results, let me express my wholehearted gratitude to you as ClearIAS was the first UPSC preparation app I downloaded on my phone and I needed no other online help after that. 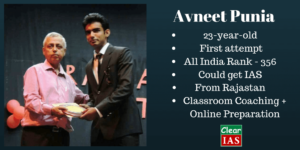 Thank … [Read more...] about Avneet Punia (CSE 2016 Rank 356) UPSC Topper’s Interview: 23-Year Old Clears IAS Exam in his First Attempt! 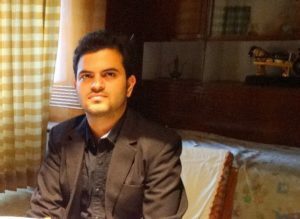 Hariram Shankar (CSE 2016 Rank 145) UPSC Topper’s Interview: From NIT, SBI PO, IAAS, and now IPS! 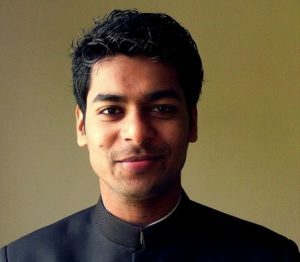 Hariram Shankar, 26, is a young man with a lot of confidence and energy. Knowing him for many years, what makes his special, in our opinion, is his unique analysis and opinion about various things around him. And that includes what works well in UPSC Civil Services Exam and what may not. 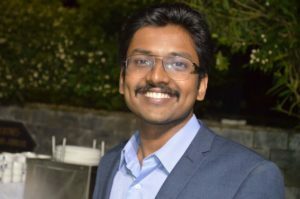 Hariram … [Read more...] about Hariram Shankar (CSE 2016 Rank 145) UPSC Topper’s Interview: From NIT, SBI PO, IAAS, and now IPS! 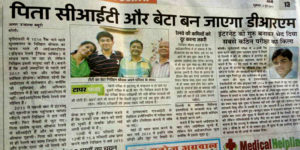 Rahul Sharma (CSE 2016 Rank 76) UPSC Topper’s Interview: Couldn’t Clear Prelims in the first 2 attempts; IAS in his Third! What would you do if you fail to clear the first stage of the UPSC Civil Services Exam, ie Prelims - the first two times? Will you feel disheartened? Not Rahul Sharma. He cleared Prelims, Mains, and Interview stages in his 3rd chance and finally landed up in the coveted IAS (Indian Administrative … [Read more...] about Rahul Sharma (CSE 2016 Rank 76) UPSC Topper’s Interview: Couldn’t Clear Prelims in the first 2 attempts; IAS in his Third! 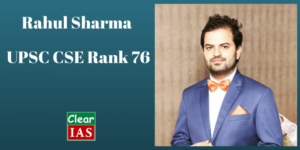 ClearIAS Content Contributor Rahul Sharma Secures Rank 76 in UPSC CSE 2016! Do you know what is common in the below study materials/notes published on clearias.com? One Belt One Road (OBOR) by China – Should India Join It? Inter-State River Water Disputes in India: Is it time for a new mechanism rather than tribunals? The Twin Balance Sheet Problem (TBS): How can … [Read more...] about ClearIAS Content Contributor Rahul Sharma Secures Rank 76 in UPSC CSE 2016!